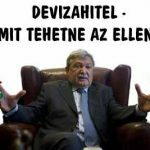 DEVIZAHITEL-MÉGIS MIT TEHETNE AZ ELLENZÉK? 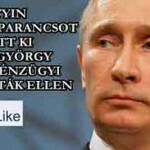 AZ ELLENZÉK ADJA VISSZA MANDÁTUMÁT! ORBÁN: GYURCSÁNYÉK TASZÍTOTTÁK NYOMORBA A DEVIZÁSOKAT, MI PEDIG SEGÍTETTÜNK! DEVIZAKÁROSULTAK MEGSEGÍTÉSE-MEGVAN A TERV, A KERET, DE AKARAT IS LESZ HOZZÁ? AZ ÁTVERT “DEVIZÁSOKKAL” PARÁDÉZOTT AZ ELLENZÉK, AZTÁN MAGUKRA HAGYTÁK ŐKET.